Commonly referred to as Bleaching, we have a variety of whitening products and procedures for any budget. Our most popular option is two custom bleaching trays, one for each arch, where you can bleach your teeth anytime - at home at work, or on the go. We also have Professional Strength Crest White strips that are a stronger formulation than what you can get in a store. We also have an in-office procedure which will whiten up to 4 to 8 shades in a few hours for patients who desire more immediate results. We recommend a full cleaning, examination, and X-rays in order to determine if you are a candidate for bleaching. Often times if you have a visible restoration on a front tooth it may need to get replaced prior to, or after whitening. Veneers are recommended for patients with severely discolored, misaligned, or worn anterior teeth. 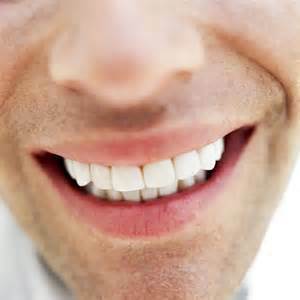 A veneer is a thin layer of porcelain or composite resin that gets adhered to your tooth. Veneers can be used in combination with full crowns and implants to achieve the perfect smile that you've always desired. Prior to beginning any cosmetic veneer work, we will send molds of your teeth to our certified dental lab for a "wax-up". Using your diagnostic wax-up, we can provide you with a visual of how your smile's appearance will be greatly enhanced.